Well this is curious and unexpected. This game seems to leverage the Arkham license and reduce the game time. 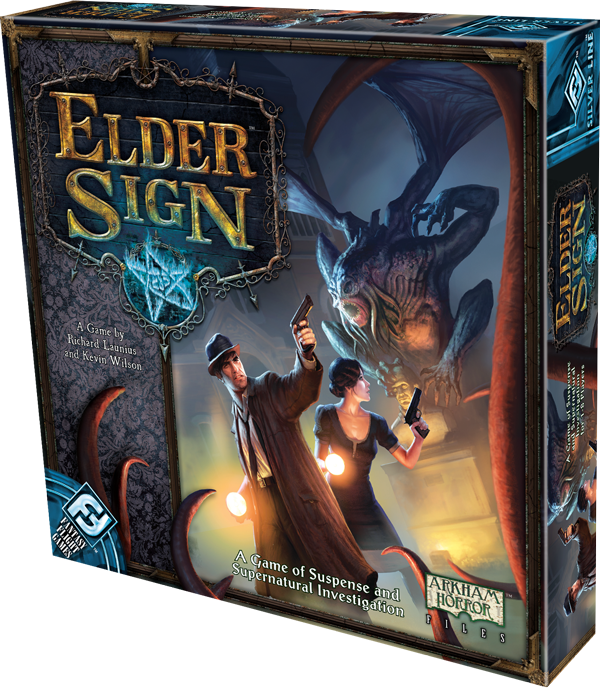 Fantasy Flight Games proudly announces the upcoming release of Elder Sign! This fast-paced, cooperative dice game by Richard Launius and Kevin Wilson, the designers of Arkham Horror, is loaded with supernatural intrigue for one to eight players. Find the full news here.